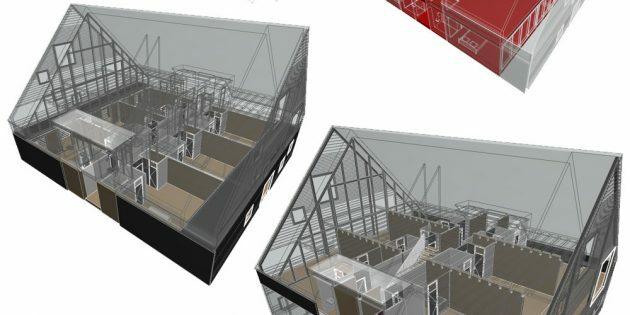 The new MASTERS of ARCHICAD 2017 course is fully underway, with the first two sessions presented in July and the recordings posted in the member area of the website. If you are registered for the course and haven’t had a chance to join us live, please login and watch the two videos so you don’t get too far behind. If you haven’t signed up, there’s still time to register at a discount during our Intro Sale (ends soon). NEW: $97/month extended payment plan available. For all the details and to sign up, click here. As we move along, there will be files posted for download and study or play with. After the first session, Andreas shared a PLN with the upper section of the building. This is placed three times into the main project file as a hotlink module, since the three instances are virtually identical. If you are a course member, I encourage you to download this file and look at how these are set up. They look impressive, however they are actually very easy to implement! 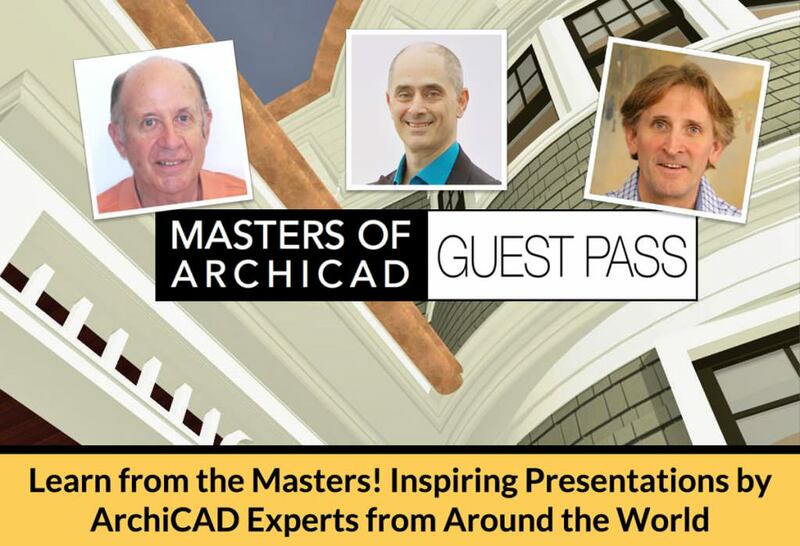 To encourage discussion and feedback, we’ve set up a new Facebook group for the MASTERS of ARCHICAD project. It is an open group (meaning anyone can join) however you will need to request to join the group and one of us will approve your request. In session 2, Andreas demonstrated several ways to import terrain information into the ARCHICAD model, including one that grabs detailed public or commercial LIDAR data via a free open-source program QGIS. Since Andreas covered several different workflows, the demonstration of QGIS was brief. Eric Zehrung and David Clayton posted in the new Facebook group their experiences trying to install and use QGIS, and requested further clarification on the process. Andreas has responded saying that he will prepare some additional demonstrations and training for QGIS, either as a separate video or during an upcoming class session. This is a perfect example of what the Facebook group will be good for. Questions and feedback can flow easily, and we can incorporate your ideas and requests into upcoming training resources. 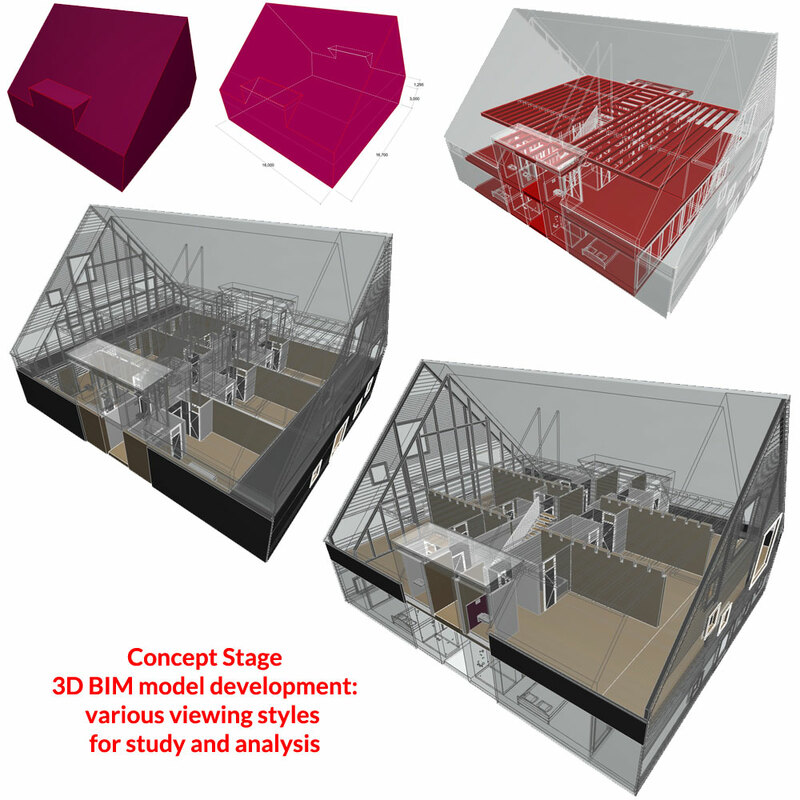 Join us on Facebook, and let’s all share ideas, questions and experiences to make this course (and the process of using ARCHICAD) as useful, inspiring and productive as possible! P.S. As I mentioned earlier, we’re still open for registrations at the intro pricing of $497 for a little while longer – please tell your colleagues about the course. 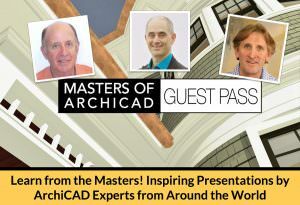 Send them to www.mastersofarchicad.com for all the info and a link to the registration page. I just set up an extended payment option – 6 monthly installments of $97. It’s not quite as good a deal as when you pay in full right now, but it will make it easier to manage the investment.